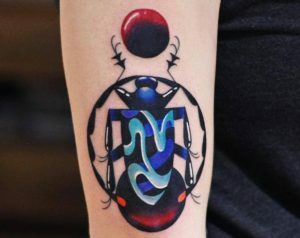 A lucky tattoo can be anything that might bring luck to its wearer. 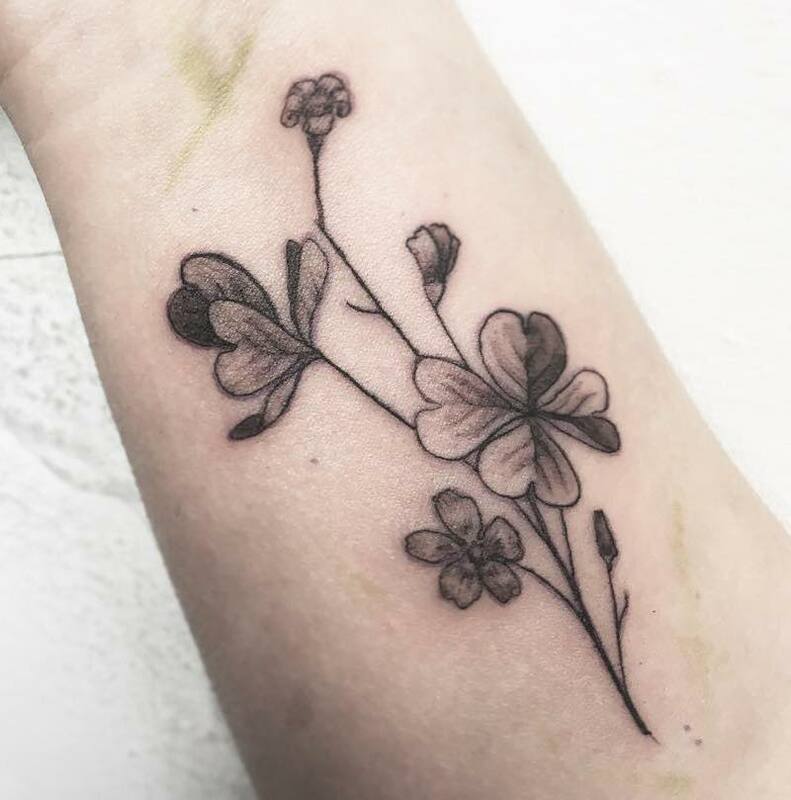 In this list we’re focusing on lucky charms from different cultures and origins, some of which go back thousands of years. 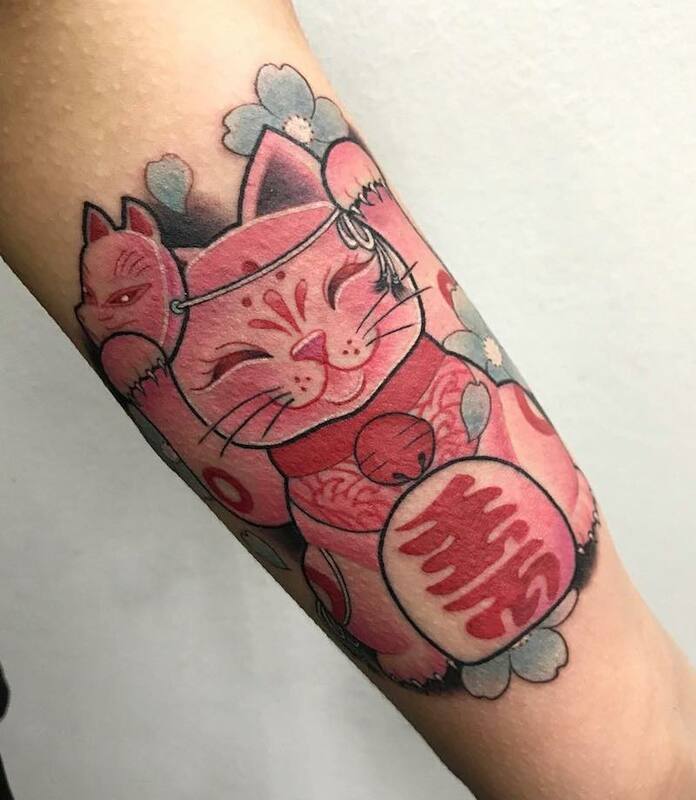 These include horseshoes, four leaf clovers, rabbits’ feet, wishbones, maneki-nekos (fortune cats), numbers (13 and 7), and lucky draw tattoos. 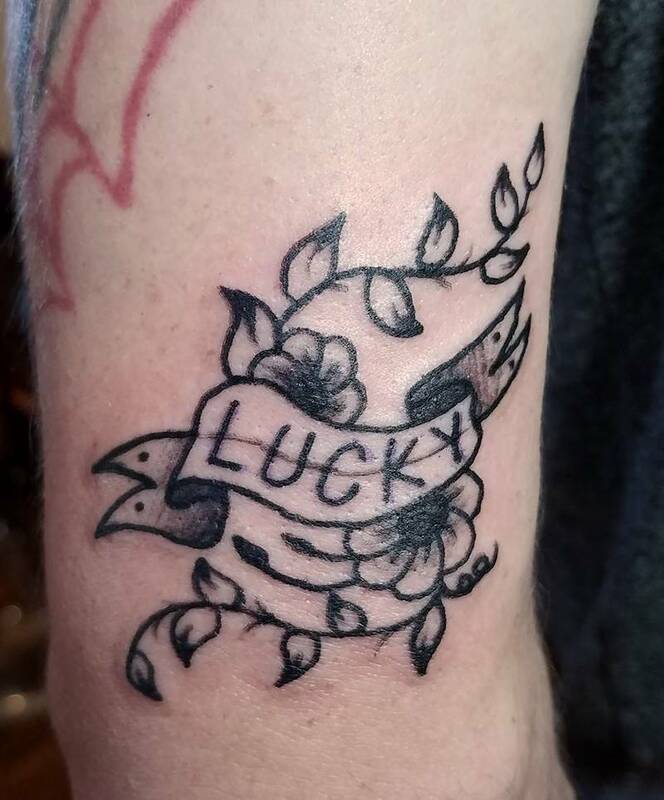 Any of these good luck symbols would make great lucky tattoos and potentially bring you luck and good fortune wherever you go. 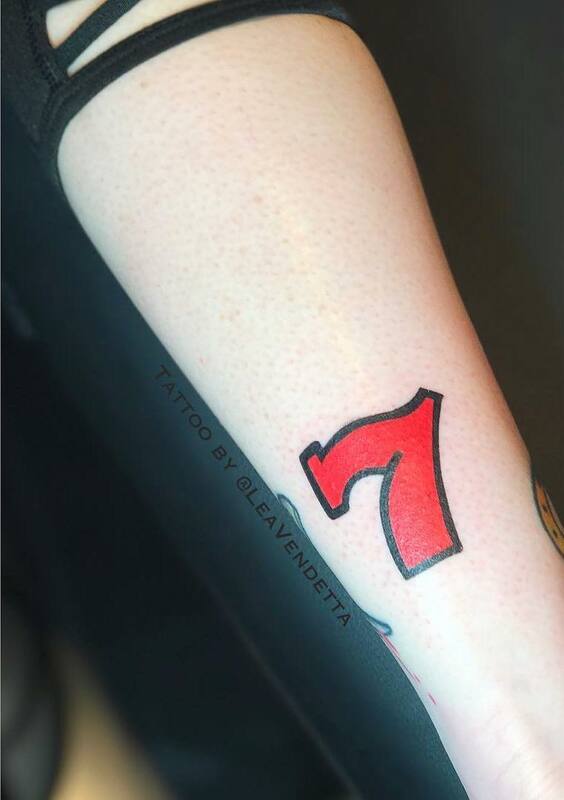 The ace card can also be a good lucky tattoo, for ace tattoos click here. 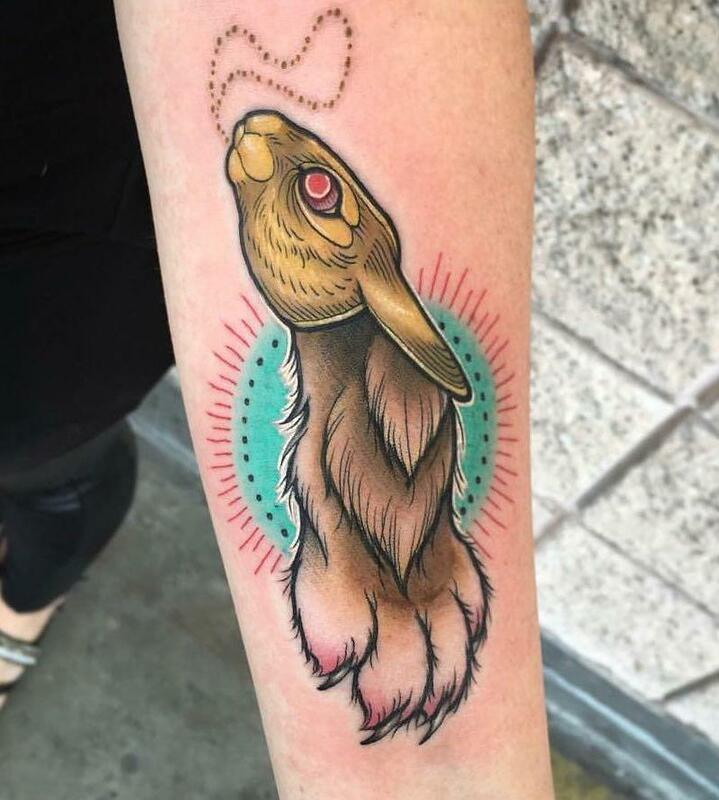 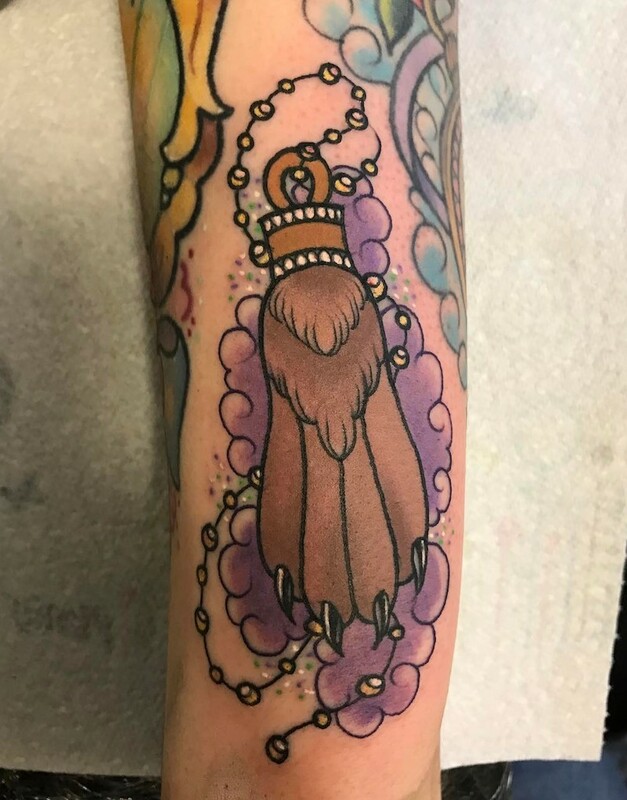 starting off the list with..
You don’t need to carry a dismembered limb around in your pocket to improve your luck; instead with a rabbit’s foot tattoo you can carry good luck with you wherever you go. 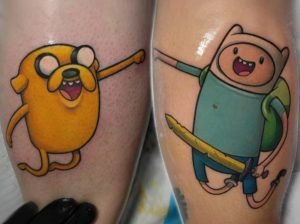 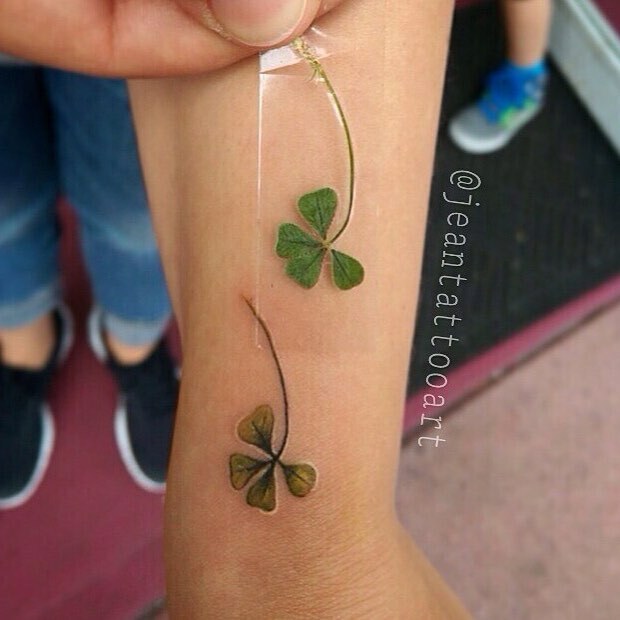 they look good and make a great lucky tattoo. 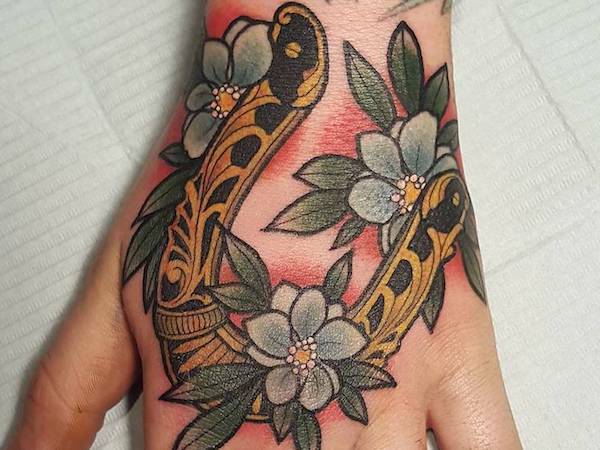 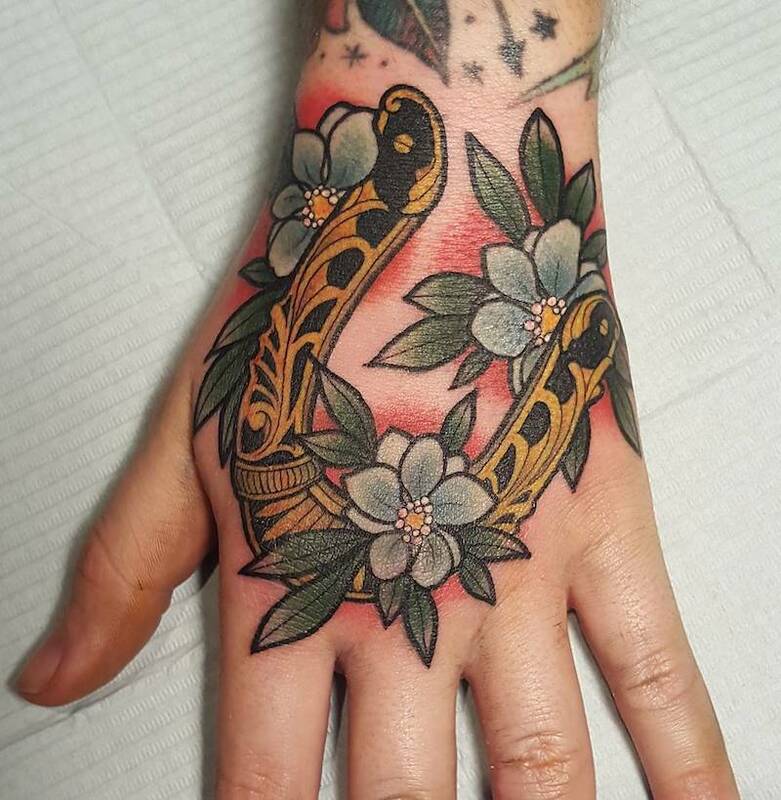 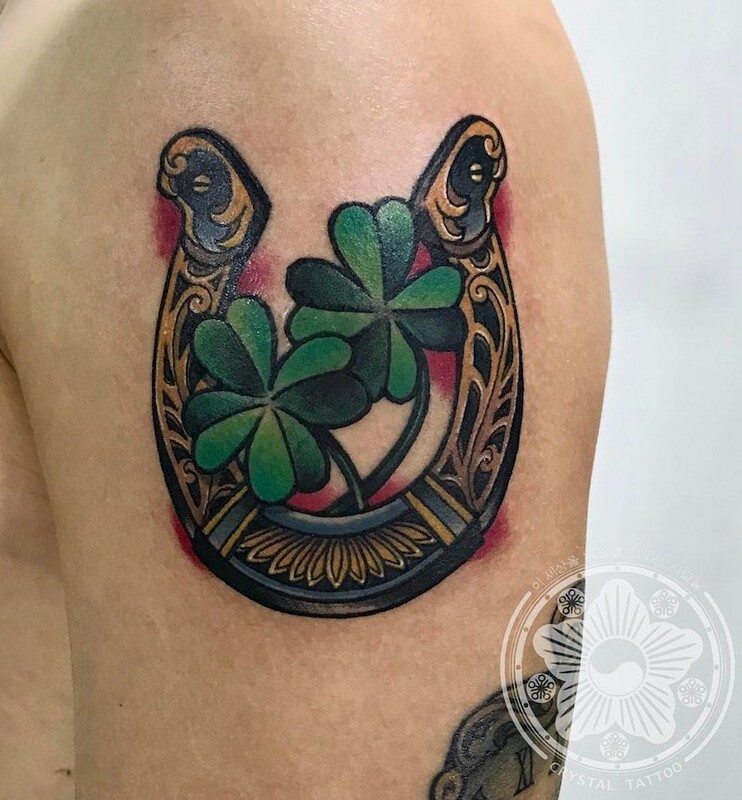 Any horseshoe tattoo can be a symbol of good luck but to make it an even more lucky tattoo then be sure to have the horseshoe with 7 holes, as most horseshoes do. 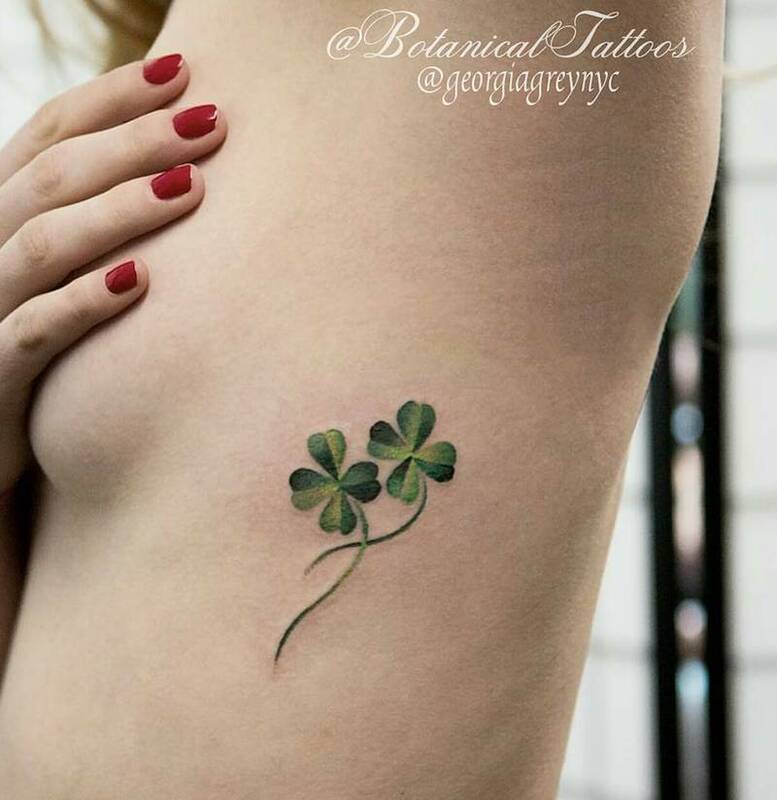 The chances of finding a four leaf clover is 1 in 10,000, whether you’ve found one or not a four leaf clover makes a good lucky tattoo. 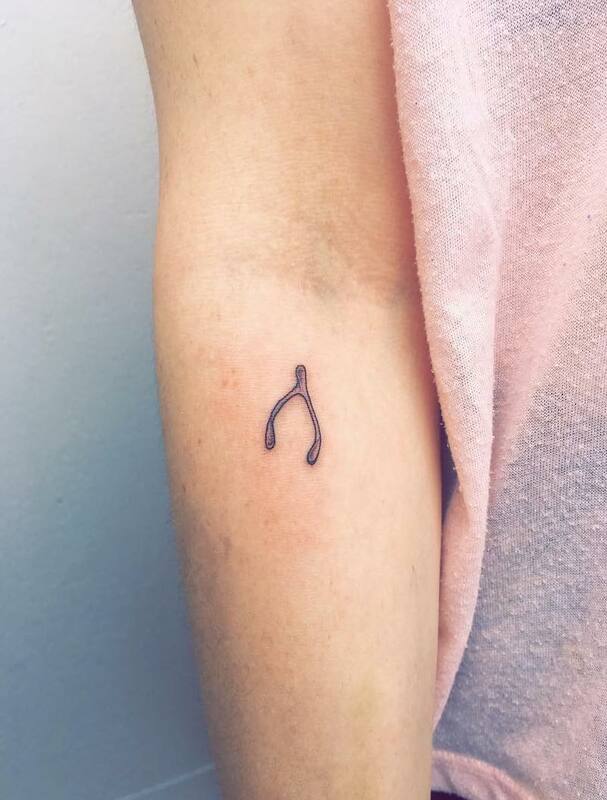 An unbroken wishbone is a symbol of good luck and many people carry a small wishbone as a good luck charm. 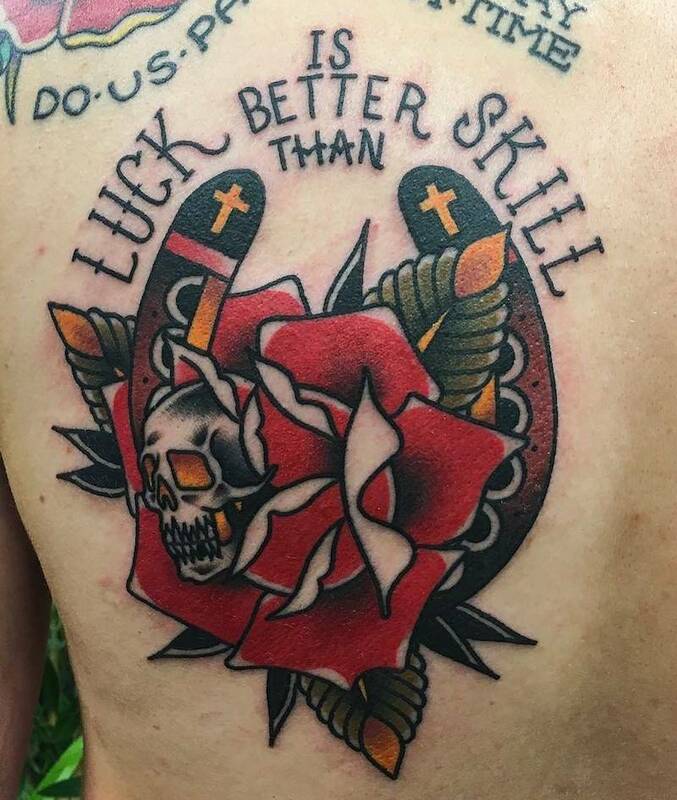 It’s also a potential wish until broken. 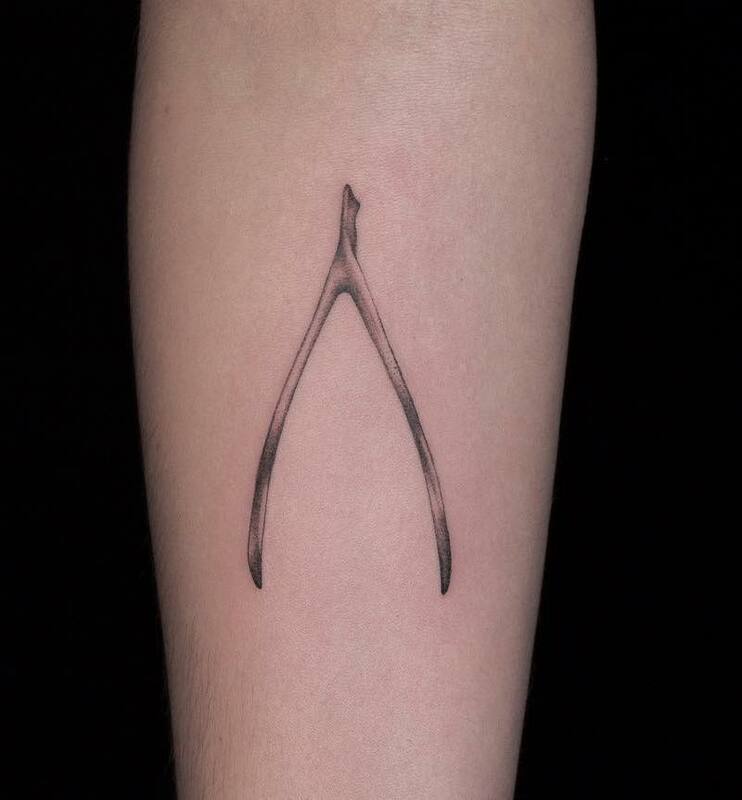 A wishbone lucky tattoo looks great whether small and simple or big and bold. 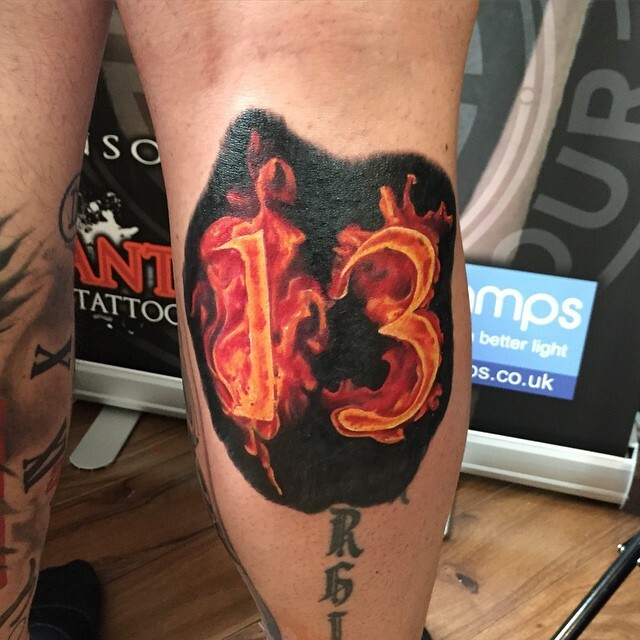 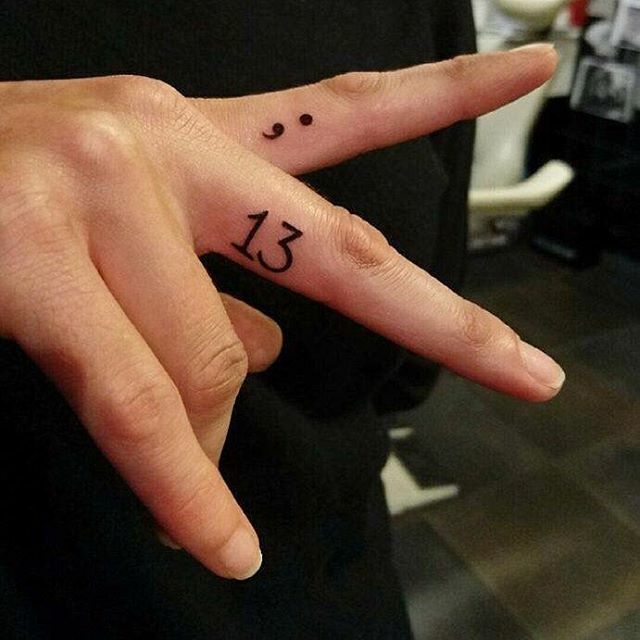 This lucky tattoo is popular to get on friday 13th although for some this number is considered bad luck especially getting it tattooed on friday 13th. 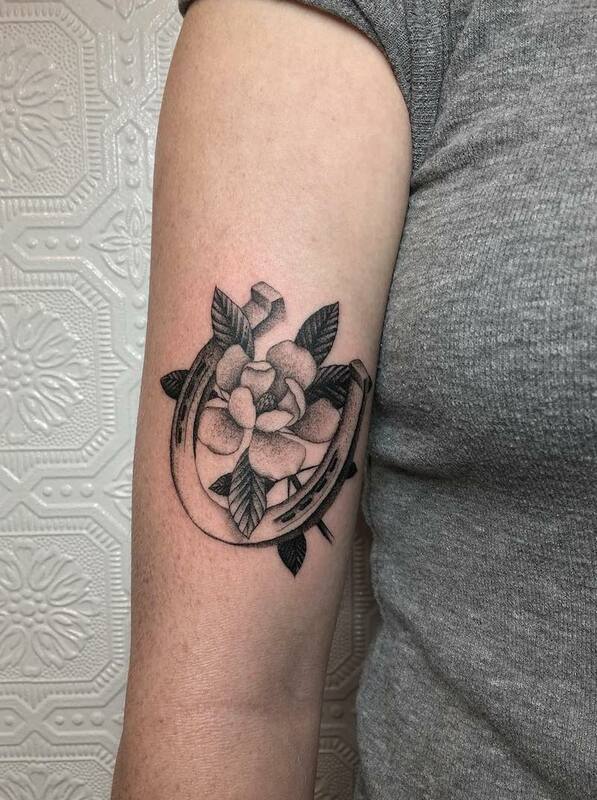 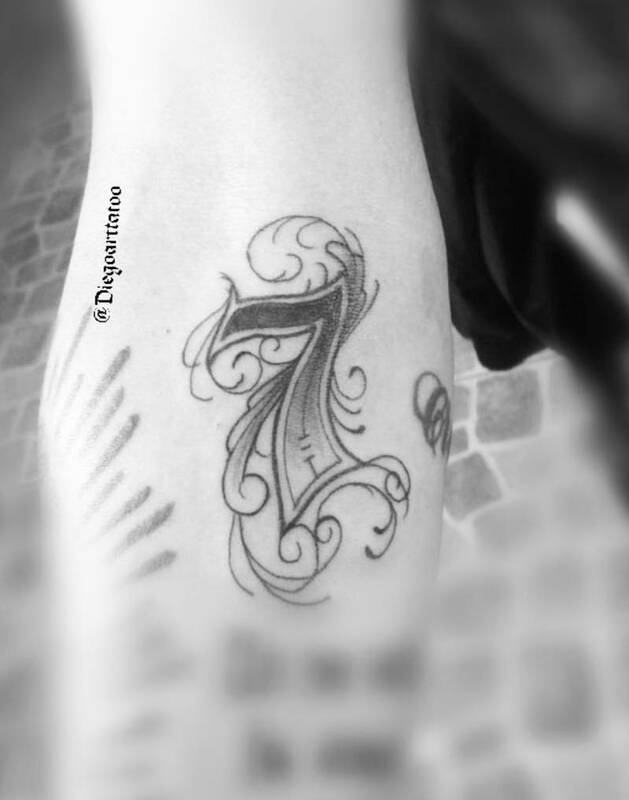 With 7 being a significant number in many different religions, as well as in nature and literature, it’s no wonder it’s one of the most popular favorite numbers for many people and can also be a lucky tattoo. 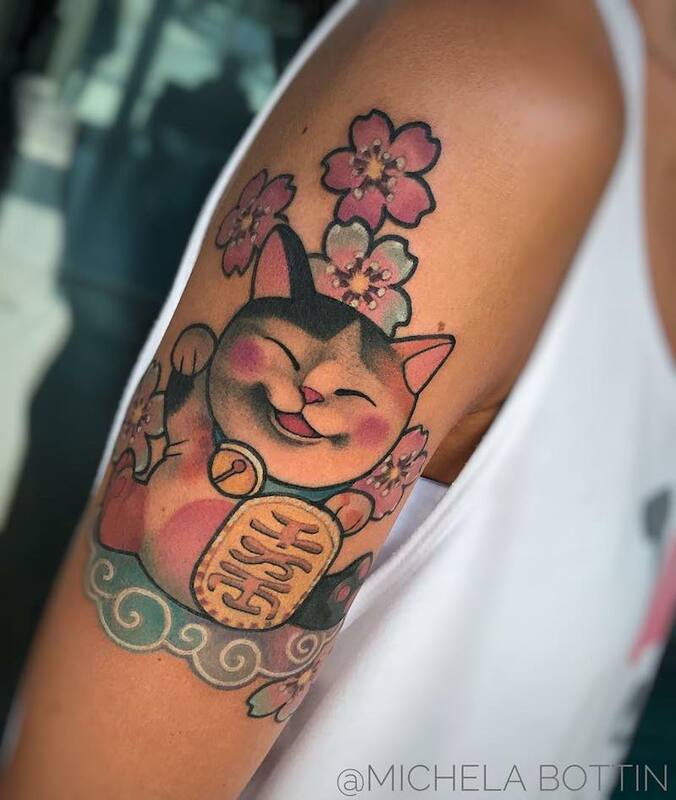 The Maneki-Neko or fortunate cat can be seen in many Chinese and Japanese homes and stores; it brings money, good luck and fortune to its owners. 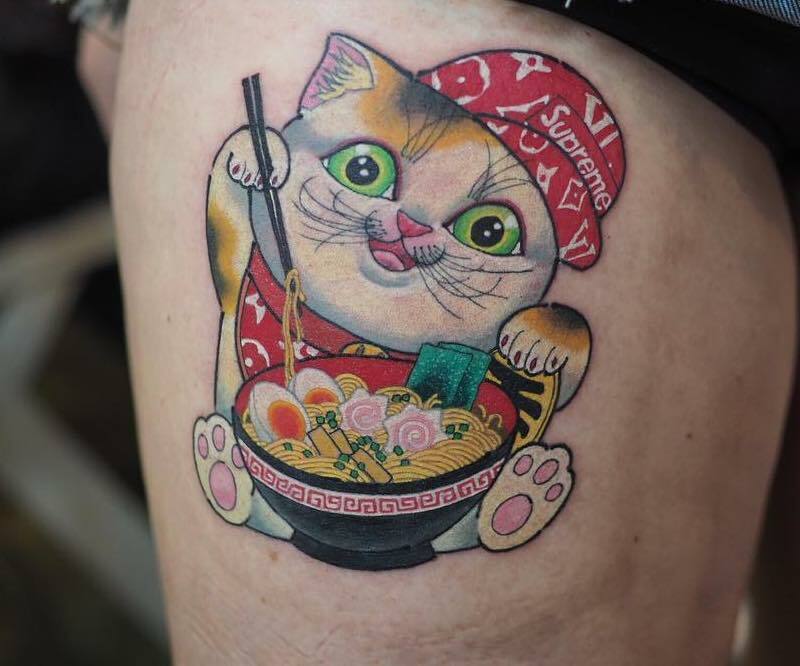 The same goes for this lucky tattoo. 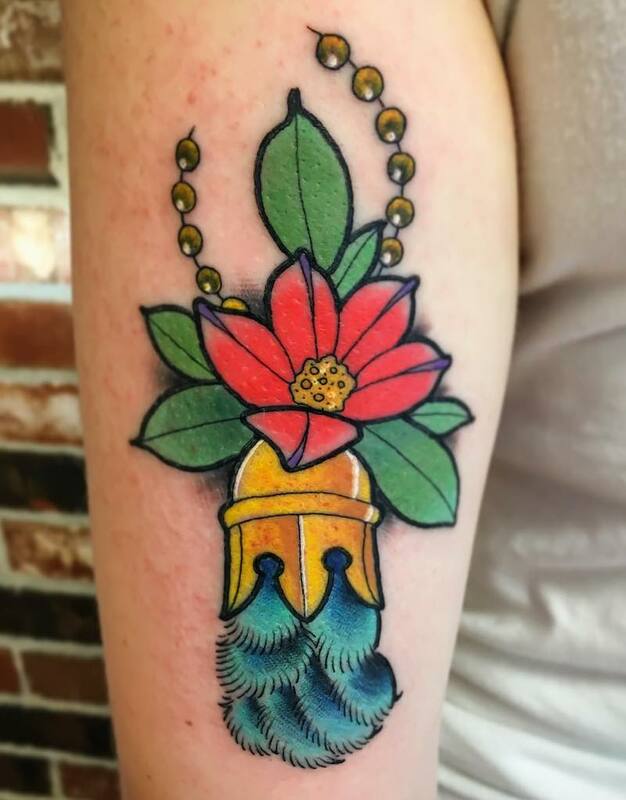 This lucky draw tattoo gumball machine at Swansea Tattoo is full of designs for those feeling lucky. 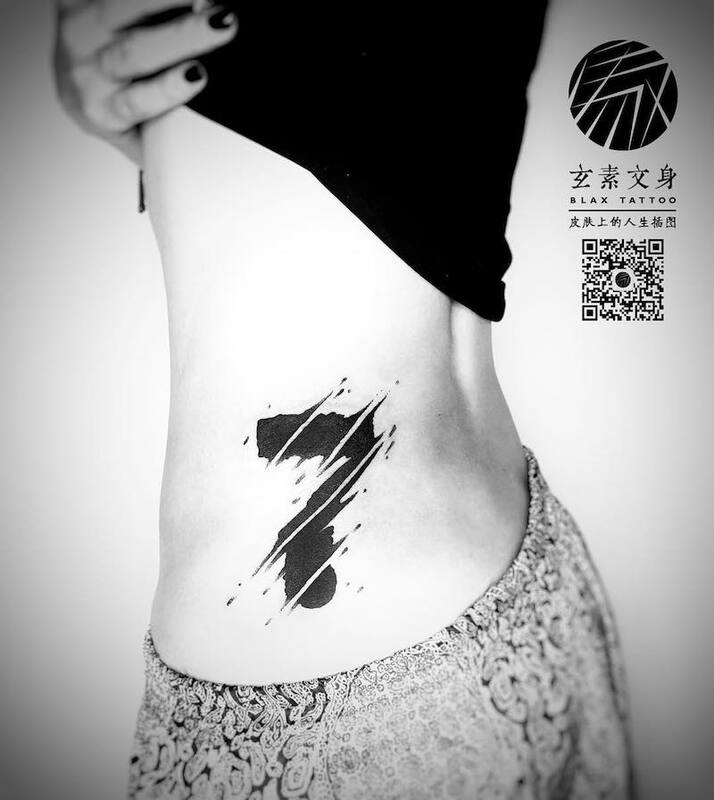 A lucky draw machine is rare so if you see one, and you’re feeling up for the risk, then be sure to get your own lucky draw tattoo. 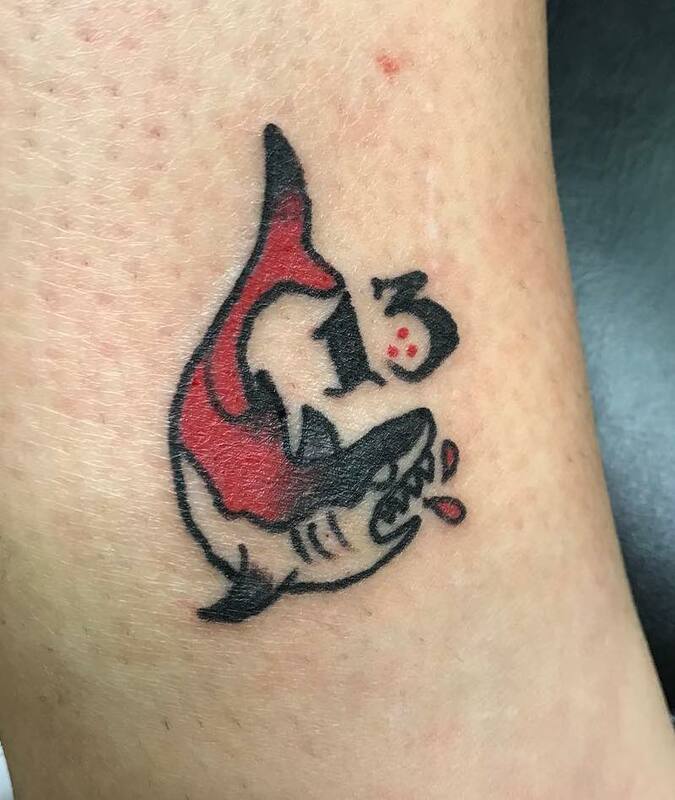 On Friday 13th many tattoo shops offer lucky draw tattoos (usually costing $13) with the designs typically being drawn from a hat. 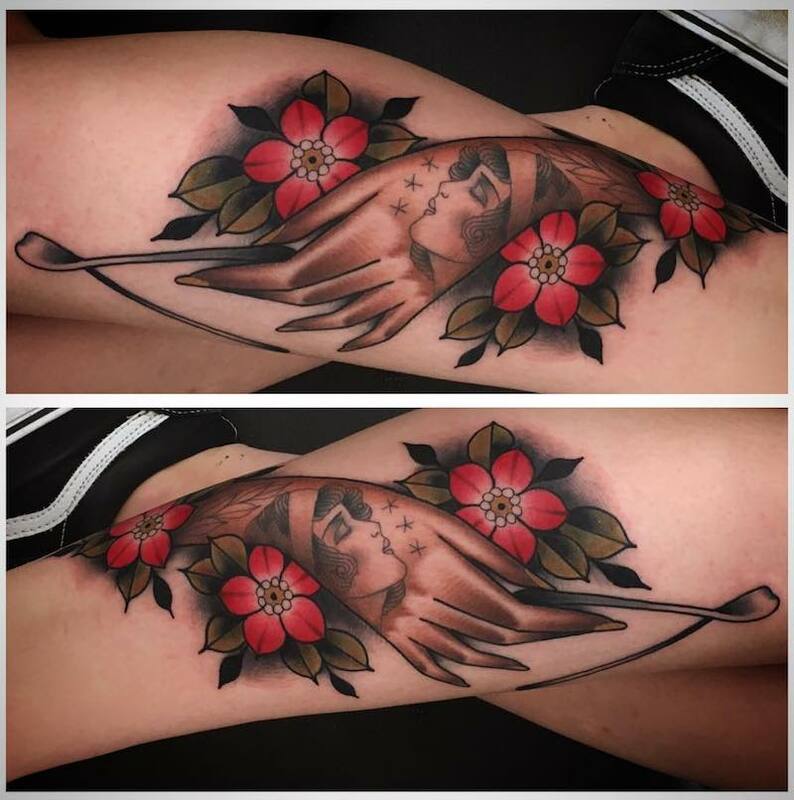 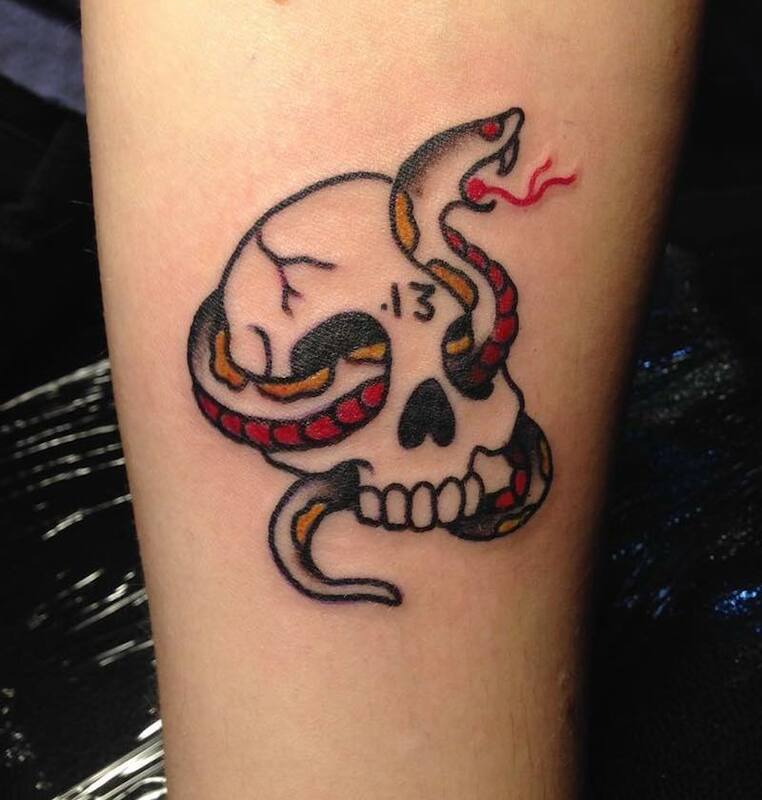 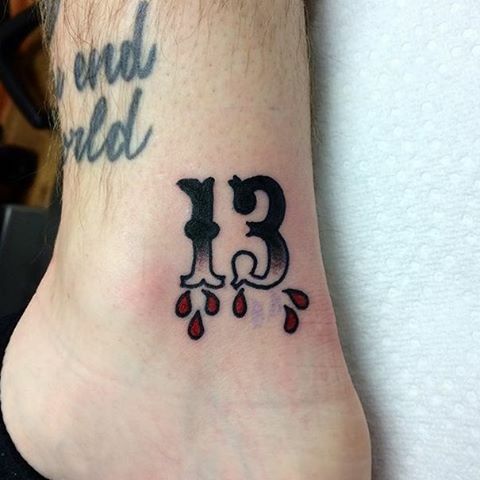 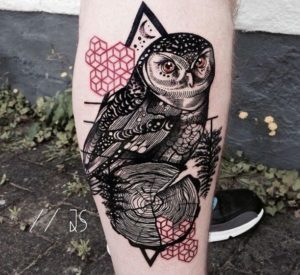 Here are some Friday 13th tattoos you might get.